Fried milk, fried ribs, Yong Chun Fist, martial arts performance...... 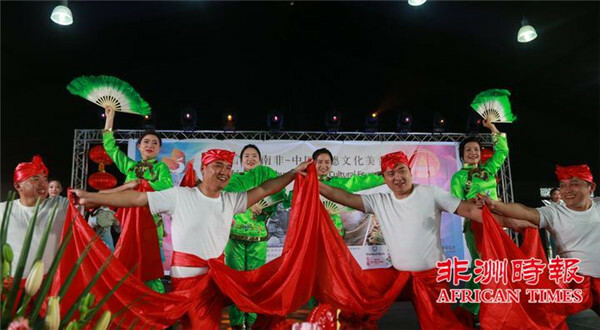 Elements representing the charm of Shunde traditional culture became popular in the southern side of Africa. 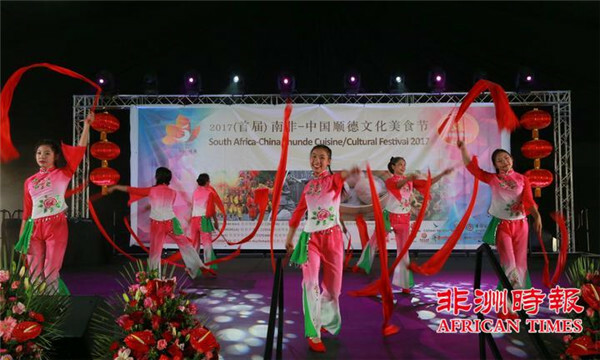 On August 13 at local time, the first South Africa-China Shunde Cuisine/ Cultural Festival 2017 was held in Carnival Theatre of Johannesburg, South Africa. Tens of Chinese gourmet stands at the spot attracted about one thousand overseas Chinese and local tourists. The activity was jointly held by Shunde government and S.A.-Shunde Friendship Association. 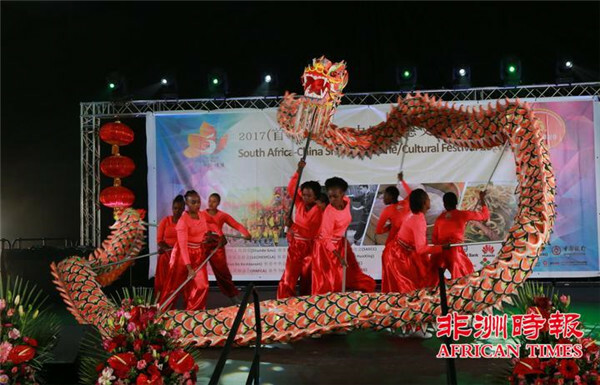 The first lady of South Africa Tobeka Madiba Zuma, deputy consul-general of Consulate-General of the People’s Republic of China in Johannesburg Qu Boxun, president of the Shunde CPPCC Zhou Wen and other distinguished guests attended the opening ceremony. Johannesburg is a city in Africa with most Chinese people. There is a Chinatown with all kinds of Chinese cuisines. Tobeka Madiba Zuma said that since China established diplomatic relations with South Africa in 1998, the economic cooperation between both parties has been developing rapidly and the cooperation is of mutual benefit. 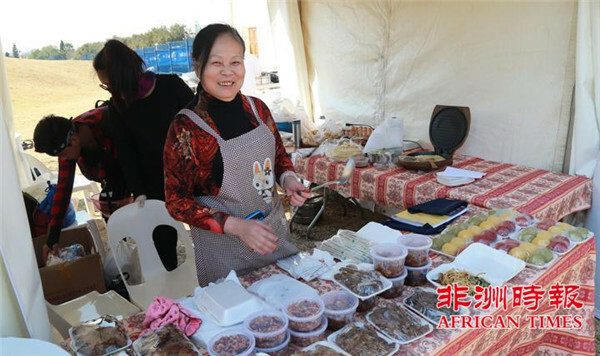 She hoped that there would be more activities like this cuisine festival to show Chinese and South African cultures, enhancing the friendship between the two countries. 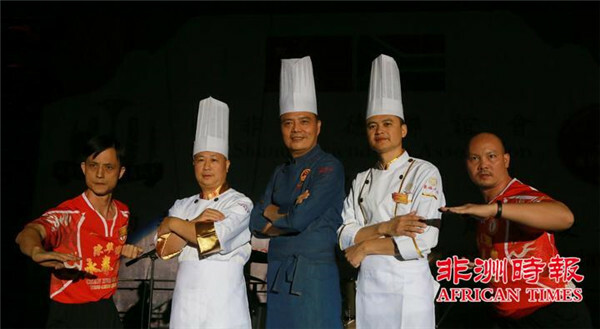 "We hope to promote the cooperation and communication of culture, economy and trade between Shunde and Johannesburg through the platform of gourmet festival. Further raise the prestige of Shunde traditional culture in Africa and build a bridge for South African people to know and like Shunde. At the opening ceremony, three Shunde famous chefs Lin Chaodai, Wu Tianquan, Dong Guocheng showed their excellent cutting skill and two Yong Chun masters Chen Wenzhuang and Guo Jianmin performed Yong Chun Fist, which brought a visual and taste feast of Shunde traditional culture to the audience. 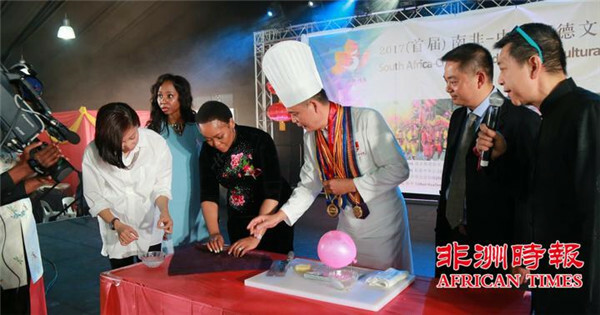 Lady Zuma was amazed by the extraordinary skill of slicing potatoes on a balloon with one’s eyes covered and praised highly of the cooking skill of Shunde chefs.